Learn about the scientific research of Joseph Henry (1797–1878), first Smithsonian Secretary and renowned physicist, and how he helped set the Institution on its course. Joseph Henry's appointment as the Smithsonian's first Secretary in 1846 coincided with the beginning of a new phase in American exploring. The US Exploring Expedition, which set out in 1838 under the command of Lieutenant Charles F. Wilkes, was the first United States expedition to employ a cadre of naturalists and professional scientists. Scientists would continue to be hired for expeditions over the next several decades, and Joseph Henry, as the nation's most respected advisor on scientific matters, became the chief gatekeeper for these appointments. "I spent several hours with the secretary last night," Henry wrote to his friend Asa Gray in 1852, "and he promised, to carry out as far, as his means would allow, any suggestions I might offer." Henry was referring to the US Navy Secretary's request for a list of naturalists to accompany an expedition to Paraguay. 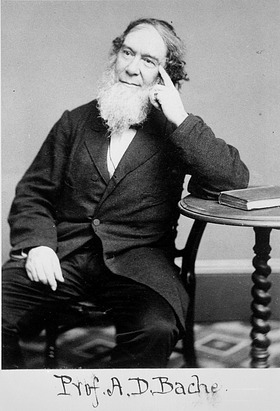 Gray, a botanist at Harvard University, was among the network of experts Henry relied on to help identify scientists for expeditions, and was himself responsible for publishing a portion of the botanical data collected by Wilkes and his men. Because expeditions suddenly provided jobs for scientists, many of whom could not otherwise earn a living in their field,1 Henry was faced with no shortage of aspirants for these positions. In reference to the Mexican Boundary Survey of the 1850s, Henry wrote to Gray, "Naturalists of late have become quite plenty. I have now on my table six applications for assistance in obtaining situations as explores [sic] of California." In 1852, Henry and Coast Survey Superintendent, Alexander Dallas Bache, asked the Secretary of the Navy to support naval surgeon Elisha Kent Kane's expedition to the Arctic. While his primary goals were to find a missing English explorer and to search for a northwest passage to Asia, Kane was also willing to make scientific observations and collect specimens. 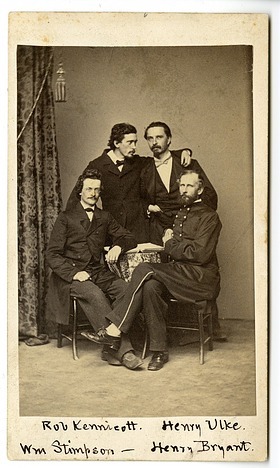 Although the Navy did not agree to finance the expedition, Kane was assigned to carry out the scientific work recommended by Henry and Bache with the assistance of a naturalist and an astronomer. A letter from Henry that was read at a special meeting of the American Geographical and Statistical Society in 1860 endorsed another expedition to the Arctic, led by Isaac Israel Hayes, and recommended wind and temperature observations to help determine whether an open polar sea existed. In 1870, Henry wrote to Representative James A. Garfield to urge congressional funding for John Wesley Powell's continued exploration of the Grand Canyon. Referring to the "chasm" created by the Colorado River as "more remarkable, perhaps than any other on the face of the Earth," Henry emphasized its apparent impact on the region's climate and on agriculture. Determining "how far the mountain streams . . . may be applied in the way of irrigating the contiguous country," was of utmost importance, and Henry was "therefore, decidedly of the opinion that the small appropriation asked for by Major Powell could not be better applied." Congress appropriated $12,000 for Powell's expedition. In addition to securing funding and scientific personnel for expeditions, Henry and Assistant Secretary Spencer Fullerton Baird provided equipment and detailed instructions for collecting data and specimens. Arctic explorers were given dredges for collecting invertebrates along with supplies for storing and preserving plant and animal specimens.2 Henry also outfitted these and other expeditions with barometers, thermometers, and other meteorological instruments. In 1850, Howard Stansbury, who led the first scientific survey of the area surrounding Utah's Great Salt Lake, responded to an inquiry from Henry regarding the whereabouts of two barometers. Stansbury explained he had written to Henry five months earlier regarding the first barometer, but the letter's messenger had "been killed on the plains by Indians." The other barometer had become so warped by the dry climate "that the attempt to transport it on a mule caused it to leak so badly that it became useless, & it was therefore abandoned." Joseph Henry sometimes made requests from colleagues across the ocean to supply equipment the Smithsonian did not possess, such as the seismometer he ordered from a Scottish geologist for James Melville Gillis's expedition to Chile. In 1853, he wrote to one of Britain's foremost scientists to acknowledge receipt of magnetic instruments for Kane's Arctic expedition. He then requested more instruments: "at least another dip circle and an instrument for intensity and declination," for two Pacific Railroad surveys Congress had just authorized. Through his publications program, Henry provided expedition scientists with the means to disseminate specimen lists and observations. In 1865, Hayden and Meek's Paleontology of the Upper Missouri, with its 48 engravings, appeared in Smithsonian Contributions to Knowledge. Henry also published Hayes's Physical Observations in the Arctic Seas and Kane's work on the same topic. Princeton botanist John Torrey's description of plants collected in California was published in 1853. 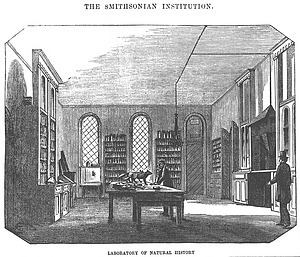 Assistant Secretary Baird, a naturalist himself, wanted very much to see the Smithsonian become a true national museum, but even he recognized the difficulty of keeping up with all the collections donated to the Institution. As early as 1854, Baird wrote of the "hosts of things pouring in from the Pacific Rail Road explorations & private enterprise. With the very limited sums allowed by Prof. Henry, I am somewhat like the magicians apprentice who knew the word to cause the broom to bring buckets of water, but could not stop it." Although Henry was unsuccessful in transferring responsibility for the collections to the US government, he successfully argued that congressional appropriations be made for their care. However these funds only partially covered the cost of managing the unceasing influx of collections. 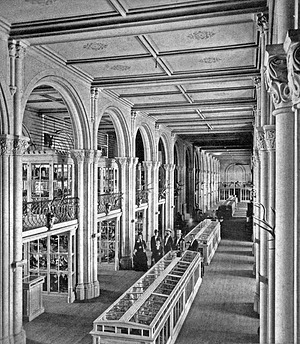 In an 1868 appeal to Congress, Henry and Smithsonian Chancellor Salmon Portland Chase wrote that the "annual appropriation of $4,000 is wholly inadequate to the cost of preparing, preserving and exhibiting the specimens, the actual expenditure for that purpose in 1867 having been over $12,000." In an effort to decrease the burden on the Smithsonian and to provide other institutions with collections, Henry shipped duplicate specimens to museums in more remote locations of the United States, and overseas. In 1850, his friend John Torrey informed him that "[Asa] Gray sailed last week for Europe—taking with him 13 large boxes—mostly filled with plants of the Exploring Expedition!" Sadly, the Smithsonian lost ten thousand jars of Crustacea, including most from the US Exploring Expedition, in the Great Chicago Fire of 1871. 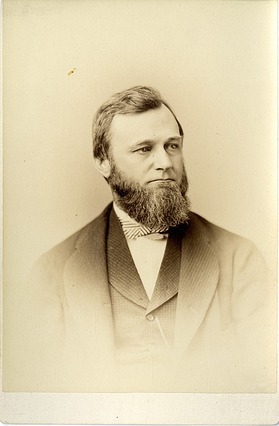 Prior to his appointment as director of the Chicago Academy of Sciences, marine zoologist William Stimpson had been in charge of the Smithsonian's invertebrates. In Chicago, he had continued working with the collections, which included over five thousand he had collected as the naturalist for the North Pacific Exploring Expedition. Two days after the fire Stimpson wrote to Henry, "All my collections, books, manuscripts and drawings, the results of twenty years of labor are destroyed."